The Verkhovna Rada of Ukraine has adopted the law "On the creation of the necessary conditions for the peaceful settlement of the situation in the occupied areas of Donetsk and Luhansk regions", submitted by the President of Ukraine (No. 7164). The relevant decision was backed by 229 MPs out of 337 deputies registered in the session hall. The law extended for another year the law "On the special order of local self-governance in the occupied areas of Donetsk and Luhansk regions," adopted in 2014. Read alsoTurchynov says Donbas, Crimea issues may be united in single billAccording to the law, a special order of local self-governance is being implemented in certain areas of Donetsk and Luhansk regions for a period of one year from the day the Law of Ukraine "On creating the necessary conditions for a peaceful settlement of the situation in the occupied areas of Donetsk and Luhansk regions" comes into force. The law establishes that a special order of local self-governance in certain areas of Donetsk and Luhansk regions comes into effect only after it has met all the conditions set forth in Article 10 of the Law "On the special order of local self-government in certain areas of Donetsk and Luhansk regions" regarding the withdrawal of all illegal armed formations, their military equipment, as well as militants and mercenaries, from the territory of Ukraine. The conditions for holding early elections of deputies to district, city, village councils of Donetsk and Luhansk regions are laid down in Article 10 "Final Provisions" of the Law "On the special order of local self-government in certain areas of Donetsk and Luhansk regions." 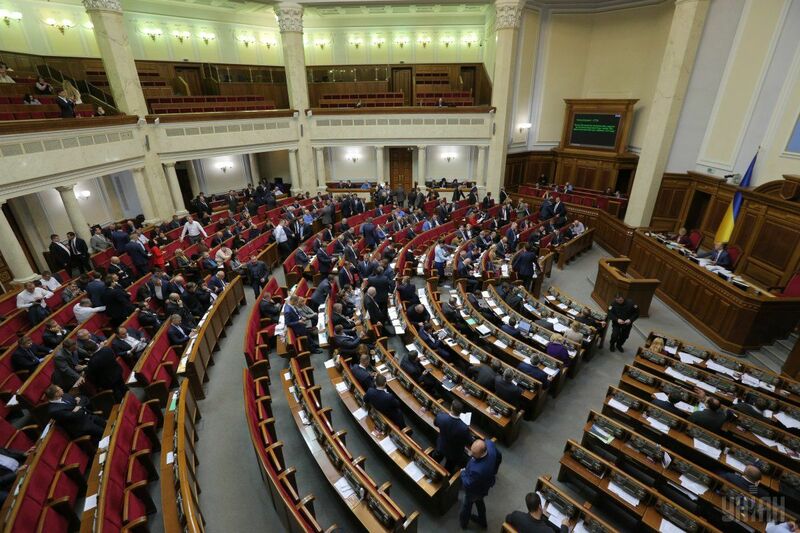 Read alsoRada recognizes Russia aggressor state as Donbas reintegration bill passes 1st readingIn the earlier adopted law, the election date was determined as Sunday, December 7, 2014. In the new legislation, the norm has not been abolished, while the date has already passed. The article stipulates that elections should be held with the participation of international observers, in particular, from the OSCE Office for Democratic Institutions and Human Rights, the Congress of Local and Regional Authorities of the Council of Europe, other international organizations and foreign states, as well as other official observers. In addition, it is stipulated that the conditions for holding elections include safe working conditions and the unhindered participation of official observers in the electoral process; withdrawal of all illegal armed formations, their military equipment, as well as militants and mercenaries, from the territory of Ukraine; prevention of unlawful interference in the electoral process, including by illegal armed groups; observance of principles of political pluralism and multi-partisan system, equality of rights and opportunities for participation in the electoral process; freedom of pre-election campaigning, equal opportunities for access to the media and the restoration of Ukrainian television and radio broadcasting for this purpose, and circulation of Ukrainian print media throughout the territory of Donetsk and Luhansk regions; observance of guarantees of free expression of will and secret ballot, the electoral rights of internally displaced persons who were forced to leave their homes in certain districts of Donetsk and Luhansk regions; transparent counting of votes, establishing the results of voting and the results of local elections.